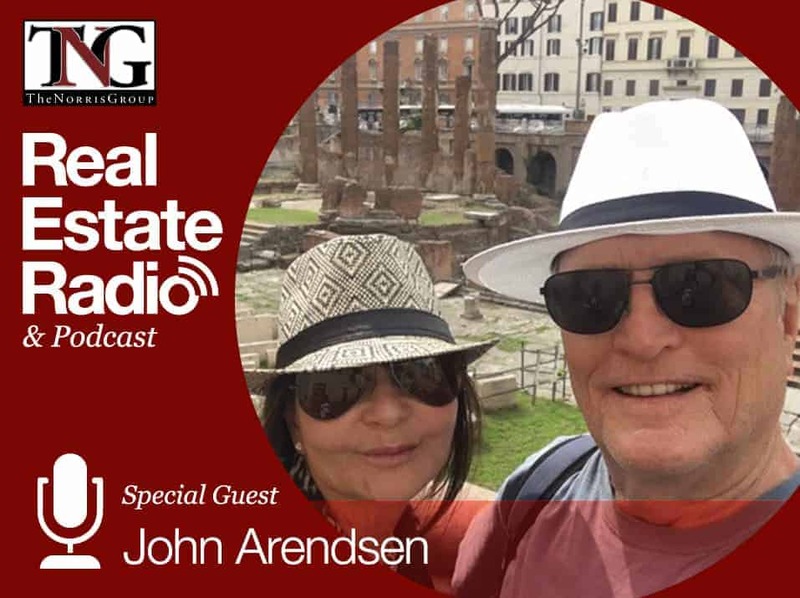 Aaron Norris is joined this week by John Arendsen. He is a licensed General Contractor and manufactured home contractor as well as a licensed real estate broker and manufactured home dealer. He is CEO of On the Level and Crest Backyard Homes. His family has been focused on all things manufactured housing and ADUs for some time now. He is also the author of Backyard Homeguide, everything you need to know about building an accessory dwelling unit. Aaron began by thanking John and telling him how he and his wife were tremendously helpful when The Norris Group was working on the chapter for accessory dwelling units for Cashing In On A Boom. This chapter caught Aaron completely off guard because he did not realize how much history he had to know. He was reading legislation, and John was an extreme help. Aaron told John he was a wealth of knowledge, and he said he learned it all from his wife. Aaron first asked him how he got involved in the manufactured housing space and why he chose to get into it in the first place. He said he backed into it by default back in 1986. He had just moved down to San Diego County after having just sold a business in Orange County. After a couple, five kids, and a mortgage, he needed to get something going. He was in the boat business in Orange County for a number of years, then moved to San Diego after getting out of this industry to start a new life and raise his kids in a nicer environment. The reality hit, and he had to get a job. He started working for a company that was selling manufactured housing-related components primarily for foundation systems and earthquake bracing. One thing led to another, and they evolved from there. Over the past 32 years, it has been their bread and butter and life. Manufactured housing is almost a dirty word, and Aaron wondered why it has such a bad reputation. John said it goes back a long way, but the connotation comes from a trailer. The transporters referred to them as wobbly boxes, which was the best definition he ever heard. Back in the 1960s and 1970s, that is exactly what they were. They were little tin shacks, not built very strong, and were an oversized recreation vehicle. Through the years, they started morphing into what they are today, which are basically HUD compliant and ICBO compliant dwellings. They are built to the same standards as site-built housing. Today, they are built much better than site-building in most instances because of the materials and environment. The indoor environment is a lot more hospitable than outdoor, which is more hostile to building components. You have the termites, pilferage, and warping. With factory-built housing, by today’s standards, it is all about environment and the quality of materials. The lumber most manufacturers use now are kiln-dried lumber, so it is nice and straight and will not warp and crack as site-built leadwood will. As a general and manufactured home builder, John does both. He does not really have any prejudice against site-built. It is just that having been in manufactured housing and seeing the way it happened the last 30+ years, he feels really comfortable and confident that it is a good product. Manufactured homes are under Title 25 in California. Aaron asked how you define a manufactured home these days. John said they are built on the same assembly line as a modular home, and there is very little difference. When you see them going down the assembly line, you really cannot tell one from the other than the manufactured home being built on its own chassey and shipped on its own running gear. It is installed with the mainframe in place and set up on a series of jacks and pads, either wood, plastic, or sometimes cement. It is then basically skirted and goes under the HUD Mandate of Title 25. From a practical standpoint, as a homeowner wanting to put a very expensive ADU on a property, manufactured/modular/site-built is the most economical in the overall scheme of things. It is a lot less turnaround time, and you don’t have to mess with all the local city ordinances. It is basically under the HUD mandate, which supersedes the local jurisdiction. Modular would be stick-built, but prefab since it is built offsite. John said a prefab is actually what they refer to as a flat stack, which is a series of floor, wall, and roofing components that are flat stacked on a low-bed trailer, transported to the job site and erected in place. They are prefabricated from the standpoint that you don’t have to build it from the ground up. There is a difference between prefab and total factory built. A modular is built the same way but not on its own frame and chassey or running gear. In fact, it does not have running gear at all; it is just built with a bottom plate, hoisted on or rolled on by a series of rollers to a low trailer, then hauled to the job site and rolled on or crane lifted and set onto a poured in place footing wall. It is similar to a site-built home on a raised foundation. The home is then anchored to the footing, so it is a permanent installation. These fall under Title 24 in California, and it is all geared toward local jurisdiction. A modular would have to comply with the same local ordinances as a site-built home with the exception of a few less inspections. If a modular unit comes with enclosed walls, then there is no way an inspector can see the nail patterns, anchor bolts, or tie downs or anything they usually look for when inspecting the site-built structure. These are all done at the factory, so the inspector on site does not have to do that. There is a conversation in California about labor, especially skilled labor and some of the benefits emerging for prefab and modular that are in controlled environments and are environmentally friendly. When it ends up on site, it can be put together faster than when you build stick-built. Those key terms are very important as well when it comes to accessory dwelling units. It can be any of those three things, and this was what got confusing when it came to Title 24 and 25, city-regulated, and mandated by HUD. However, the other options are far superior to site-built. We are leaning more toward modular and manufactured every day because of a lot of the challenges that go along with the site-built product. In some instances, you have no choice but to go site-built. This is in instances where access becomes a problem. This could mean ingress and egress where a crane does not work or there are high tension lines or trees. In other situations, the reach of the cable in proportaion to the weight component might be too dangerous to use it for fear it may tip. You would then have no choice but to use a flat pack prefab or go from the complete ground up. Aaron was very interested to watch Amazon invest this year in a Fontana based prefab manufacturer. Clayton Homes is owned by Berkshire Hathway, which is a Warren Buffet company. There are some pretty big names getting into the space, so Aaron has a feeling 2019 might be the year some of this really takes off in California. Aaron asked John if he is feeling the same way, especially considering the ADU conversation. He said yes and was delighted to see Warren Buffet acquire Clayton just as he was to see him buy the Apple stock. It shows a commitment to housing. If you have not taken the time to look at Clayton Homes and the level of finish, for all intents and purposes you cannot tell the difference between stick-built and some of the new manufactured homes. He can understand why he gets a dirty look from people in the space when he says the word “trailer.” John said his biggest adversary are site-built contractors. They are their competitors and talk trash about any kind of modular or manufactured housing. They are always putting it down, whereas John’s business is neutral since they do both and he does not have anything against site-built or modular manufactured. They go strictly by what the customer can afford or what they want and what is most practical for that particular project. John said this was why it was fun to work with John on this specific chapter. He was not pro or con either way, and this is very helpful when considering some of these projects. You can look at them and say what will be best for them and their budget and what will be fastest. Touching next on the ADUs, Aaron asked how he would define an ADU. By definition, it is an accessory dwelling unit, which is added livable space permitted by your local jurisdiction to be installed on your property. There are various reasons and motives people put them on their property. A lot of folks want a little accessory unit they can use recreationally as a pool house or for barbecuing. Or, you may be aging and want to downsize, which is what the biggest percentage of people want to do. They want to age in place but also downsize since they do not want the responsibility and obligation to maintain a large dwelling. They will either sell it and live in their ADU on site, or they will work out an arrangement with the family member to move into the backyard home. There is always the need also for folks with larger properties who have a full-time caretaker to tend to the property or inside of the home. At the same time, there are a lot of folks who are still living at home, want to start a family, and the parents do not want them living under the same roof. For that purpose, they will put an ADU on the property. There are different reasons and motivations for it. Then, there are folks who want to capitalize on leveraging the property below their feet that they own. They want to be able to garner an additional revenue stream and therefore acquire an ADU. By and large, it is becoming very big with a lot of investors. There are a few different opportunities. There is the flip, which has its pros and cons. On the rental side, there is the short-term rental piece. This really got started back in 2016 when Governor Jerry Brown signed a bill at the state level. The motivation was California has not been producing enough housing stock or affordable housing stock. The official definition according to Assembly Bill 495 was that it should include permanent provisions for living, sleeping, eating, cooking, and sanitation. Aaron wanted to cover this because cities are dealing with this in different ways. There are some cities that are very upset that the state decided to get in the space. We are now through two rounds of regulation. Late last year, Aaron interviewed Senator Wieckowski, who told them on air that he was not done yet and we should expect more in 2019. To finish up the definitions, there is also the Junior Accessory Dwelling Unit. John said it is basically one of two things. It is either a conversion you do within the footprint of your existing structure or primary residence. You take one of your bedrooms that has an adjoining bathroom, and it has to have its own access from the outside and a kitchenette. You usually end up with this rather than a kitchen due to space with which you have to work. This is option number one. You could also do a room addition and expand beyond the existing footprint of your primary residence and build another room that has all those same elements. It is exciting, and a lot of people do not know this has been regulated by the state. The state told them whatever they had prior to 2017 was null and void and was going to default to the state unless you create a new ordinance that was going into effect in 2018. There were very specific guidelines. The Senate Bill 1069 and Assembly Bill 2299 went into effect on January 1, 2017. Subsequently, in 2018 they implemented Senate Bill 1226, which dealt with retrofitting non-permitted or non-conforming ADUs. They regulated at the state level; so if the cities did not have one, it defaulted to the state level. This level is pretty generous with the size of the ADU. The whole point was to lower the barriers to entry, and by right, the property owner has the right to build an ADU and not have any onerous parking regulations. It was there to smooth a path and make it easier for people to get more housing units as quickly as possible. Aaron took it as the state was not very happy with how cities were layering on a lot of fees for schools and utilities, which was not the intent. Oftentimes, it could be up to five figures for some of these permits and fees. This is why we have been seeing additional regulation. Unfortunately, it is confusing because every city is handling this differently and you have to see the fine print. Sometimes there are history overlays and ways to get around it. You have to really make sure you are not buying properties assuming you can just go in and build whatever you want. Aaron asked John if this was one of the mistakes he is seeing, to which he said he nailed it. One young lady involved with the San Diego Creative Investors Association will be working with him on a cost analysis for where and when it is really practical to address an ADU on the basis of ROI or a cap rate you can realize your ROI with. John contends that the jury is out on that. He does not ever advocate that in any of his presentations to people unless they have followed the formula, or they could be sorely disappointed. A lot of that is based on how much equity somebody has in their home, what their debt-to-income ratio is, and what their loan-to-value ratio is. Those are all the things you have to take into consideration before you take out a lot of money to build an accessory dwelling unit. It is ideally suited for investors who go into it with both eyes open knowing they are buying a property they fully intend to add an additional unit onto for income purposes. However, for a young family or parents who think they can put an ADU on the property, turn around, and start generating income on it, it could hurt you if you don’t do the math. On a plus side if an investor buys a flip, goes in, and adds an ADU since they are already in the space, it is creative. Some appraisers are giving a square footage value across the board. The appraisals have been coming in. However, because of the lack of comparables in some of the communities, appraisals can be a challenge. On top of that, you have the banks. Your appraisal also has to comply with the comps in the area. It all works hand in hand. If you are in an area where there are a lot of single-family residences but no ADUs, the appraisers are at a loss. Aaron and John will continue their discussion Friday as they touch on appraisals and finances.